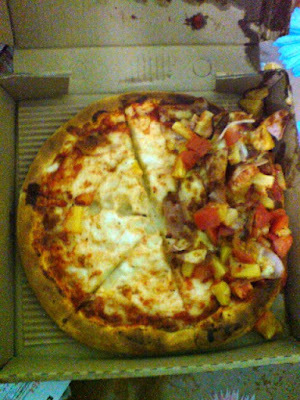 Can you tell me whats wrong with these pizzas? Looks like a vertical mishandling of pizzas. Anyway, I called immediately and was replaced with 2 new pizzas plus a free bottle of coke for this. Well, at least they replaced it without questions. 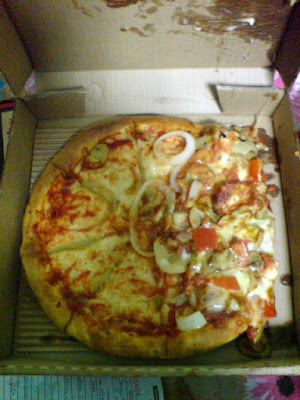 So I will not bad mouth which pizza this is.